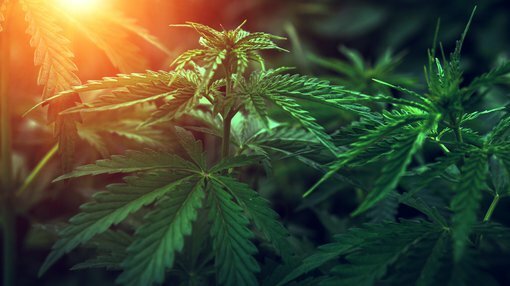 engage:BDR (ASX:EN1) has expanded its solutions into the cannabis and CBD advertising space. Until now, there has been few opportunities for cannabis advertisers to acquire digital ad inventory, due to constraints around cannabis advertising. EN1 has launched a customer curated inventory package suite, specifically designed to provide cannabis brands and advertisers with a medium to access display, video and native inventory. Beginning last week, the company’s programmatic exchange offered private marketplace opportunities with top 1000 US websites and apps, via personalised ad solutions for niche cannabis clients. This development is important for EN1, as it builds off its 2019 strategic plan announcement on 11 February. Under the plan, engage:BDR, with its IconicReach and AdCel products, plan to pursue several new projects, including digital solutions for domestic cannabis brands, as part of its continued incremental revenue growth. To address increasing demand, EN1 has now enabled cannabis advertisers to access its programmatic exchange, in addition to its current offering for said advertisers through IconicReach. AdCel is now exploring the possibility of expanding cannabis and CBD advertising to include mobile ads through a self-serve marketplace. EN1’s IconicReach will also provide cannabis brands access to prominent influencers who are subject matter experts, to help create and distribute content across their social media channels. Thanks to EN1’s new programmatic distribution channel, brands can now syndicate their high-quality influencer content across programmatic media channels, providing the company with a unique differentiator amongst their competitors and tremendous value to advertisers using the platform. As previously mentioned, EN1 now offers cannabis advertisers the opportunity to connect with premium comScore top 1000 sites/publishers to reach their audiences. These include household names such as Garnett (who represent USA Today), as well as Generation Premium and Bandsintown. With these networks on board, EN1 enables cannabis brands to efficiently and effectively expand their reach and target audience size. Select publishers have opted in to accept cannabis and or CBD advertising; all other publishers remain unaffected. EN1 has worked closely with its publishers to establish creative guidelines for cannabis advertisers, eliminating the guesswork related to creative compliance. The existence of these guidelines makes it easy for EN1’s new cannabis partners to start on its platforms. EN1’s managed services team handles all of the heaving lifting, performance optimisation and negotiations with suppliers, reducing the need for the advertiser to have their own internal resources dedicated to maneuvering within the advertising ecosystem. As mentioned previously, the launch of this marketplace is a major coup for EN1. All of the company’s 2019 goals focus on one outcome – profitability. Engaging the cannabis industry enables the use of the company’s core tech stack and takes advantage of EN1’s relationships with key players in the field. This new customer channel is targeting 55-60% margins. As of today, less than a handful of legitimate programmatic advertising options exist in the U.S. for cannabis advertisers. This fresh marketplace launch enables EN1 to shore up its position as a market leader in the area.